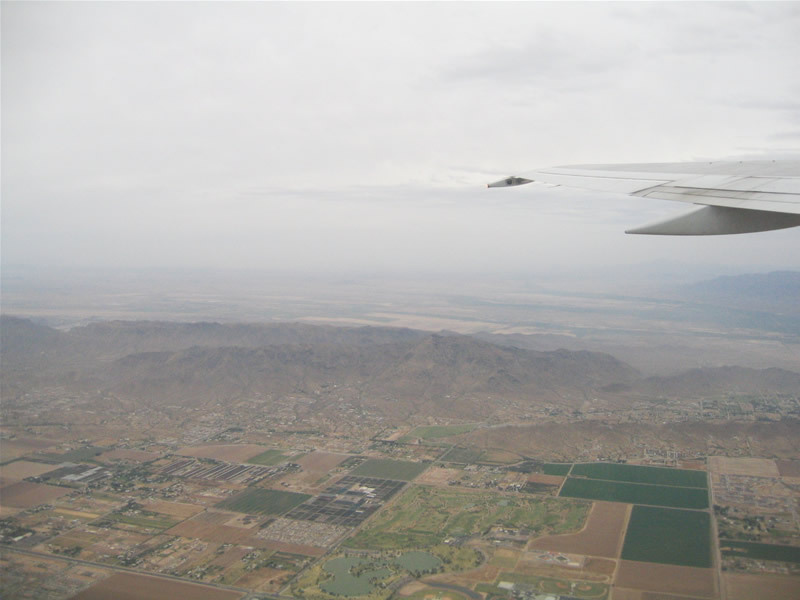 Phoenix is the sixth largest city in the United States, an oasis in the middle of the Sonora Desert at the foot of the Superstition Mountains and the Mogollon Rim. 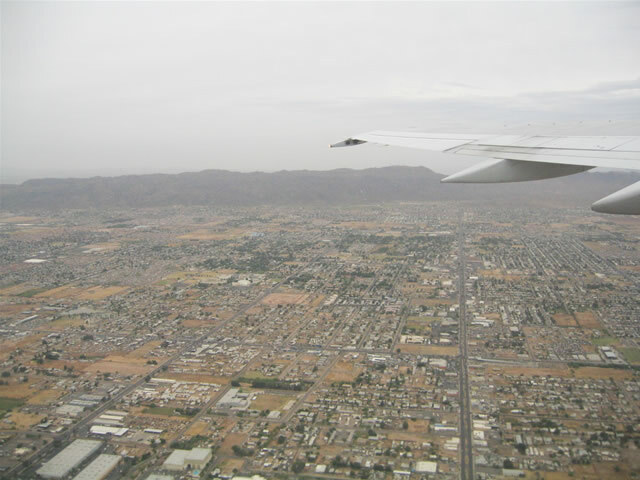 Laid out in a grid pattern along the USGS land survey system, Phoenix is a relatively low-density, spread-out city. 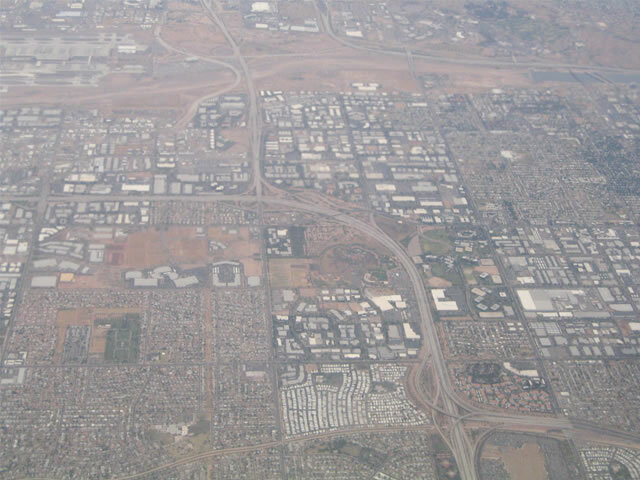 The freeway system is concentrated near downtown, with several state route freeways and the two Interstate highways clustering near the airport. Loop 101, completed in 2004, provides a partial belt route. Freeways in Phoenix were developed rather late compared to most US cities. The first freeway was the Black Canyon Freeway (now Interstate 17), followed by Interstate 10 east of Interstate 17. These first two freeways were completed by 1970, and no new freeways opened for 9 years. In 1973, plans were released for the Papago Freeway (Interstate 10) through downtown, along the Moreland Street corridor. Planners envisioned a freeway arching up to 100 feet above Central Avenue, with spiraling “Helicoil” ramps down to street level and parks underneath. 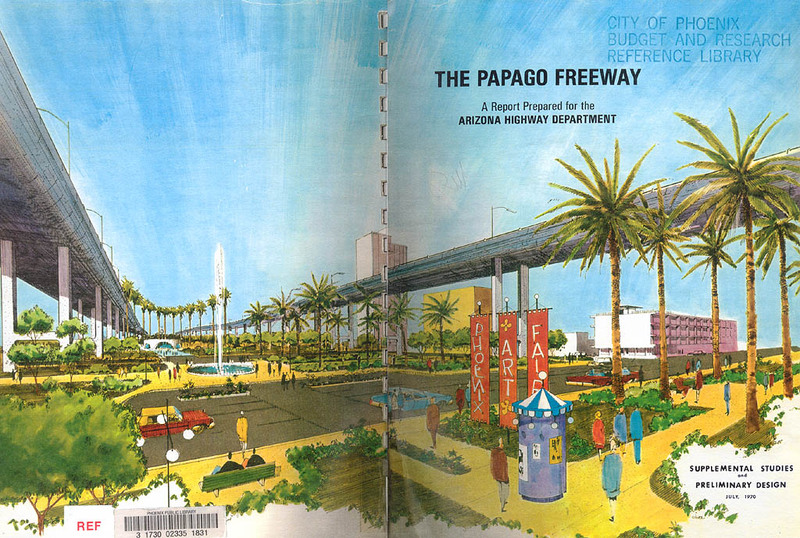 The wife of Eugene Pulliam, publisher of the Arizona Republic, saw these plans and was horrified – so she convinced Pulliam to mount a campaign against the Papago Freeway. 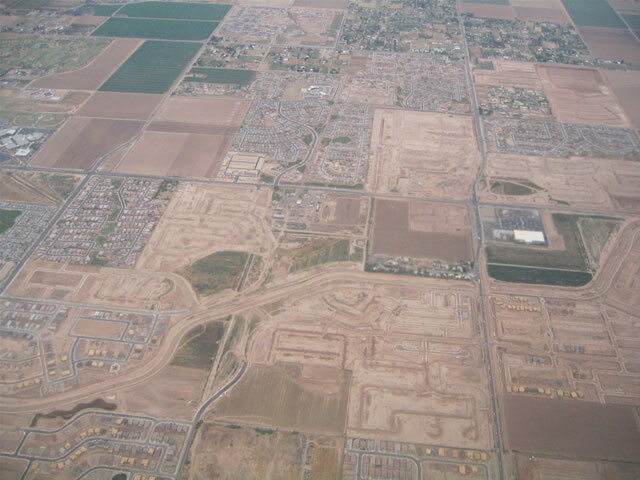 Several votes later, freeway development in Phoenix was completely halted. Meanwhile, the city continued to grow dramatically, and traffic along with it. Some work had been performed on the Supersition Freeway (US 60, then signed as Arizona SR 360), but no other freeway work had been performed. Phoenix Mayor Margaret T. Hance pushed through construction of the Squaw Peak Parkway (now Piestewa Freeway, Arizona SR 51) in the early 1980s as a city project from Interstate 10 to Northern Avenue. Meanwhile, the political atmosphere changed, leading to the passage of a 1/2 percent sales tax (Proposition 300) in 1985 to fund transportation. Construction of the valley freeway system began in earnest shortly thereafter. In 2005, Proposition 400 was passed to extend the 1/2 cent sales tax another 20 years. Completion of Loop 202 and 303 is included in these funds, as well as two new freeways – Arizona SR 801 (I-10 reliever) and SR 802 (Williams Gateway Freeway). Interstate 8 passes the metropolitan area to the south, connecting Phoenix with Yuma, the Imperial Valley, and San Diego. The best route to westbound Interstate 8 from Phoenix is either via Arizona 85 at Buckeye or via Arizona 347 in the Gila River Indian Reservation. Interstate 10 is the primary east-west freeway route through the city of Phoenix. 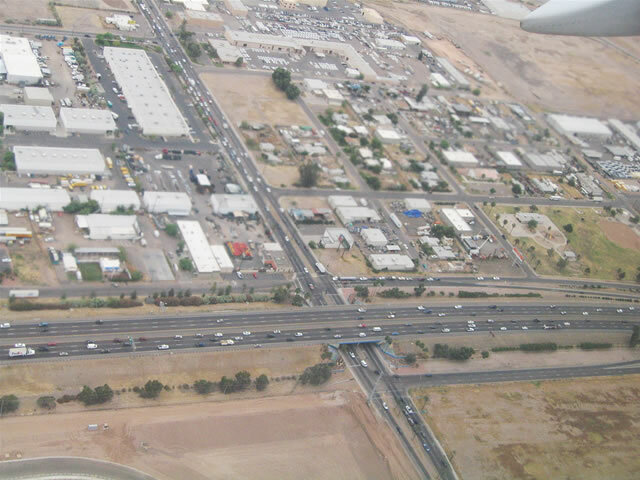 Coming into the metropolitan area as the Maricopa Freeway, Interstate 10 turns north as it passes by Loop 202 (San Tan Freeway) and the community of Ahwatukee just east of South Mountain. 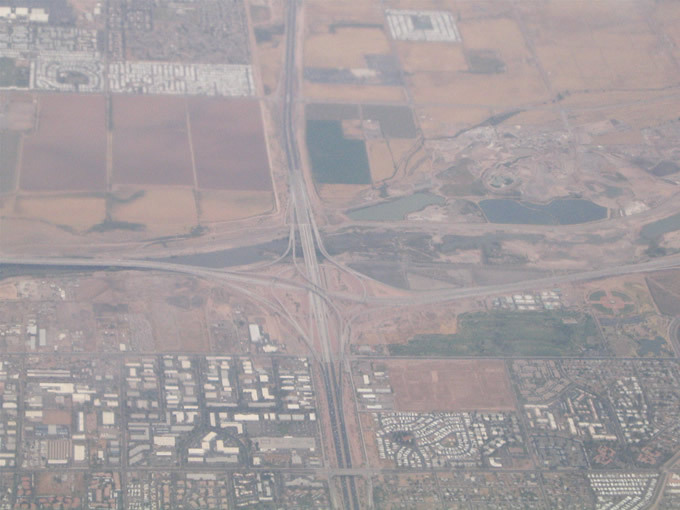 Interstate 10 is ten lanes as it meets U.S. 60, the Superstition Freeway. Merging with U.S. 60, Interstate 10 turns west as it passes by the Arizona 143 interchange, and then it continues into downtown Phoenix, partially on an elevated viaduct. Upon reaching Interstate 17, Interstate 10 turns north toward the Squaw Peak Parkway, then turns due west again on the Papago Freeway on a below-grade routing through downtown Phoenix, roughly parallel to McDowell Road. The freeway even passes through a tunnel between Third Street and Third Avenue, a distance of six city blocks. After meeting Interstate 17 a second time, Interstate 10 then leaves downtown quickly and reaches suburbia. The freeway will meet Future Arizona Loop 202 (South Mountain Freeway) at approximately 55th avenue, and continues west past Arizona Loops 101 and 303 en route to Buckeye (Arizona 85) and the desert en route to Los Angeles. ADOT released a proposal to widen Interstate 10 between the Mini-Stack interchange (Loop 202/Arizona 51) and Ray Road to up to 20 general purpose lanes and four HOV lanes. There would be a dual freeway design from Interstate 17 to U.S. 60, with local and express lanes through the corridor. In addition, a redesign of the antiquated Arizona 143 interchange is planned. Interstate 17 is the Black Canyon Freeway, originating in downtown Phoenix and continuing north toward Sedona and Flagstaff. This major route replaced former Arizona 69, which was replaced by Interstate 17 in the 1960s and 1970s in the metropolitan area. Interstate 17 crosses Interstate 10 twice, once at its southern terminus southeast of downtown and again northwest of downtown. It is cosigned with U.S. 60 between the southern terminus and Exit 197. The exit numbers begin at Exit 193 and increase as one travels north. These exit numbers are not related to those of Interstate 19. There are no plans for any southerly extension of Interstate 17. Interstate 510 was the once-proposed designation for the north-south section of Interstate 10 between the southern terminus of Interstate 17 and Arizona Loop 202 and the first several miles of Arizona 51. Initially signed, Interstate 510 was eliminated when Interstate 10 was rerouted through the Papago Freeway segment and Interstate 17 was extended to the southeast to end at its current terminus. The numbering of Arizona 51 is due to the original designation of Interstate 510. U.S. 60 enters the metropolitan area from the northwest as Grand Avenue, carrying not just traffic from Wickenburg but also from Las Vegas and Kingman via U.S. 93. Much of Grand Avenue is multi-lane, divided highway, and improvements along this corridor call for the construction of interchanges at selected intersections to alleviate traffic flow concerns, especially since U.S. 60 is a diagonal route cutting through a predominantly grid pattern. 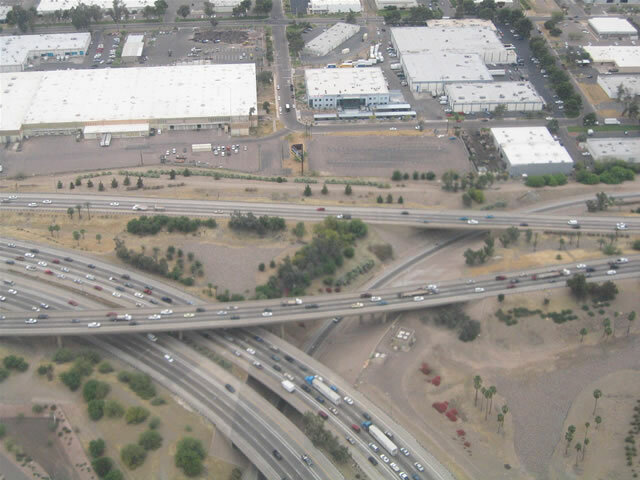 U.S. 60 meets Interstate 17 in downtown Phoenix, and it links onto that route near where the Black Canyon Freeway bends into the Maricopa Freeway. U.S. 60 carries through the southern terminus of Interstate 17 at Interstate 10 southeast of Downtown, and it merges onto Interstate 10 en route to Tempe. At Tempe, U.S. 60 turns due east, as Interstate 10 continues southeast. U.S. 60 follows the Superstition Freeway, an extremely busy corridor serving Tempe, Mesa, Gilbert and Apache Junction. It finally changes into a rural highway several miles after Arizona 88. U.S. 60 used to be merged with U.S. 70 and 89 for its entire length through the metropolitan area, but both routes have since been decommissioned. U.S. 70 was the first to go, since it duplicated U.S. 60 from Los Angeles east to Globe. U.S. 89 was decommissioned at the same time U.S. 60 was moved from Main Street / Apache Trail onto the Superstition Freeway (former Arizona 360). 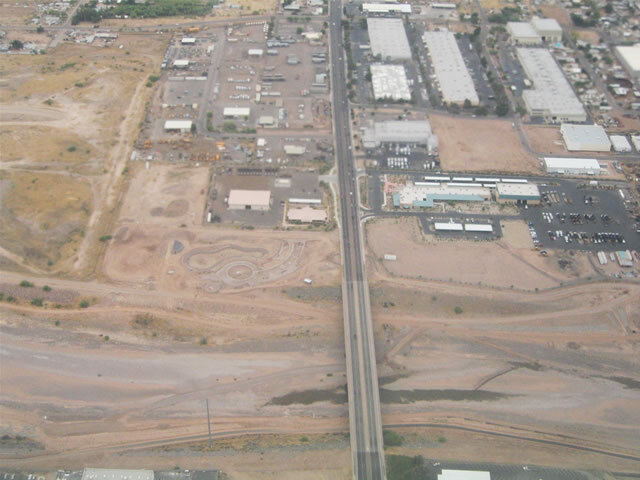 U.S. 80 was also merged with U.S. 60 between downtown and Florence Junction via Apache Junction. Arizona 24 is the proposed Gateway Freeway, designed to serve Southeastern Maricopa County and Pinal County. The route is currently under study between Loop 202 near Williams Gateway Airport, and will eventually travel east to meet US 60. Arizona 24 had an original proposed highway number of 802. Arizona 50 is a cancelled freeway that would have traveled east-west between Loop 101 and Arizona 51 along an alignment approximately four miles north of Interstate 10 and Loop 202. The Freeway was cancelled in 1993, due to funding shortfalls. Arizona 51 is the Piestewa Freeway. It was known as the Squaw Peak Freeway until May 1, 2003, when it was renamed (along with Squaw Peak itself) in honor of Army Private First Class Lori Piestewa. Piestewa was the first Native American woman killed in combat as an American soldier; the Hopi died during the 2003 War in Iraq. Arizona 51 begins at Loop 202 and Interstate 10 just northeast of Downtown Phoenix, and it heads north through metropolitan Phoenix, passing through the Squaw Peak Park just after Exit 7. The freeway was extended in stages through 2003, with the last segment open to traffic in Summer 2003 with a connection to Loop 101. There are no plans to extend Arizona 51 north of Loop 101 aside from a possible connection with Black Mountain Parkway. At one time, the current Interstate 10 between Interstate 17 and Loop 202 and Arizona 51 north of Loop 202 were considered for inclusion in the Interstate highway System as Interstate 510. The Interstate 510 designation existed briefly in the early 1960s and was signed between the Interstate 10/17 interchange, but it was dropped by the time the final routing for Interstate 10 through downtown was determined. 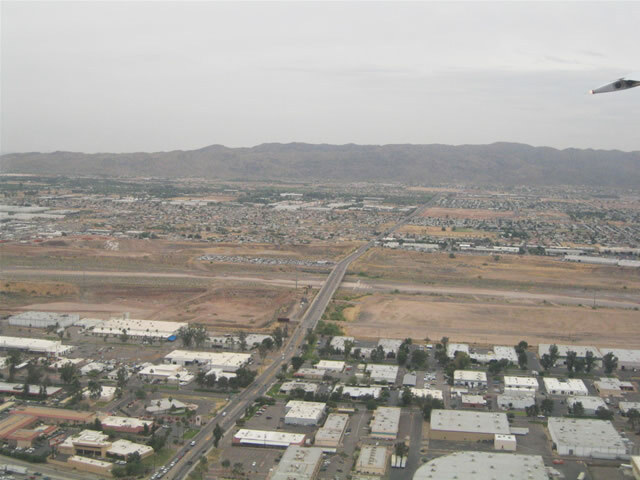 View of the 51st Avenue and Baseline Road area southwest of Phoenix. Phoenix and Tucson continue to grow inexorably toward one another with new subdivisions platted at an alarming rate. 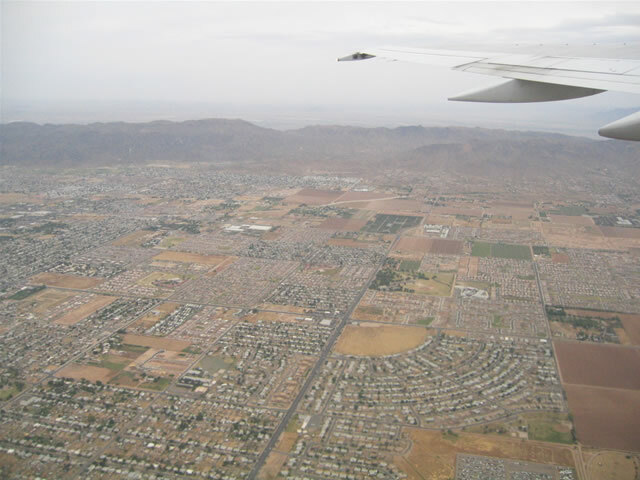 The growth consumes the arid landscape with sprawl in all directions, and not even the preserves and Indian Reservations prevent the metropolitan area expansion. Is it expected that by 2040 Tucson and Phoenix will be home to over 10 million people in a large “megapolitan area”.1 Photo taken April 22, 2005. Arizona 85 is a major north-south route between Organ Pipe National Monument in southeastern Arizona at the border with Mexico and Interstate 10 in Buckeye. The busiest section of this highway is between Interstates 8 and 10 since it forms part of the most direct route from San Diego to Phoenix. This section is part of former U.S. 80 between Gila Bend and Buckeye. This section is slated for improvements to four-lane divided highway, and it might even be constructed to freeway standards in places. The section of Arizona 85 south of Interstate 10 (at Gila Bend) will remain two-lane for now, but it is the primary route to Puerto Penasco (Rocky Point) in the state of Sonora, Mexico. Arizona 87 begins at Interstate 10 near Eloy, southeast of Phoenix and Casa Grande. It more or less parallels Interstate 10 as it approaches the metropolitan area, choosing to follow Arizona Avenue through Chandler and Country Club Drive through Mesa. After passing Loop 202 in Mesa, Arizona 87 turns northeast along the Beeline Highway toward Sunflower, Payson, and Winslow. There are no freeway segments of Arizona 87. Along with Interstate 17, Arizona 87 provides one of the best routes from Phoenix into the mountains. Loop 101 is the semi-beltway around western, northern, and eastern Phoenix. Starting at Interstate 10 in Tolleson, Loop 101 starts as the Agua Fria Freeway and heads due north through Phoenix into Glendale and Peoria. The freeway turns east at Beardsley Road, and it crosses Interstate 17 to become the Pima Freeway. Loop 101 passes through the northern reaches of the city of Phoenix as it heads toward Scottsdale, and the newest segment at this northeastern corner opened in 2002. Loop 101 then turns south near Pima Road. Loop 101 then heads due south through Scottsdale and the Salt River Pima Maricopa Indian Reservation. Meeting Loop 202 and U.S. 60 in Tempe, Loop 101 becomes the Price Freeway south of U.S. 60. Loop 101 ends at Loop 202 in Chandler, with no plans for future expansion. Arizona 143 is the Hohokam Expressway, a five-mile freeway between Interstate 10 & U.S. 60 (Exit 153) north to McDowell Road just north of Loop 202. Primarily serving traffic to Sky Harbor International Airport, the freeway also provides full connections from Interstate 10 to Loop 202. Arizona 143 is closely paralleled by former Arizona 153 (Sky Harbor Freeway) just a half mile or so to the west. Parallel to Arizona 143, Arizona 153 was the three-mile, orphan Sky Harbor Expressway. Arizona 153 began at University Drive a short distance north of Interstate 10/U.S. 60 and ended at Washington Street just shy of Loop 202. 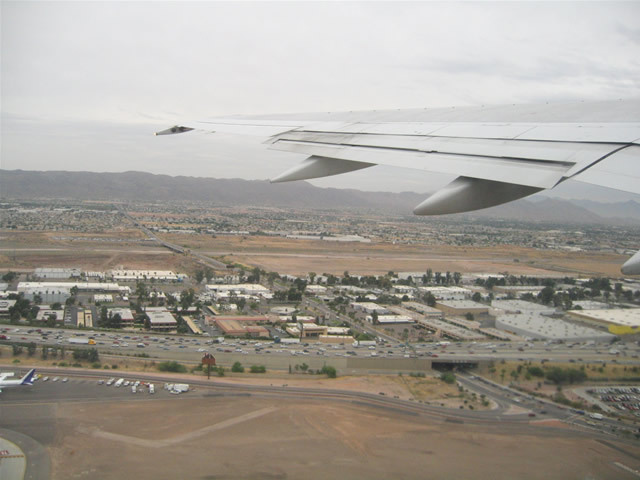 Its only connection to the freeway system is via the long exit ramp from Loop 202 and Arizona 143 to the east of Sky Harbor International Airport. 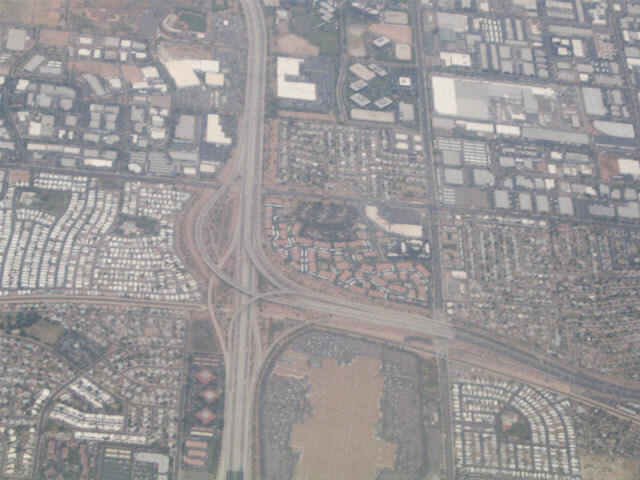 The freeway was planned to be connected to Interstate 10 at the 40th Street interchange, however all development on Arizona 153 was cancelled. 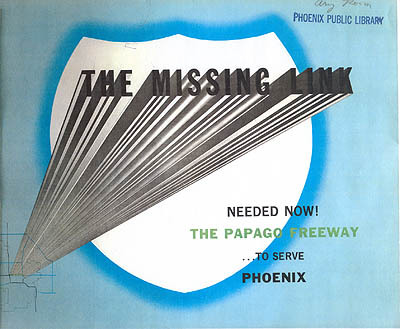 The freeway was removed from the state highway system and turned over to City of Phoenix control, which used part of the former freeway for the Phoenix Sky Train between the 44th and Washington light rail station and Sky Harbor Airport. The remainder of the former freeway is now known as 44th street, as a four lane city street on the former northbound lanes. Loop 202 provides a narrow, east-west loop that will relieve U.S. 60 (Superstition Freeway), with a future bypass to the southwest of South Mountain. Currently Loop 202 is constructed from the Mini-Stack interchange in Downtown Phoenix (I-10 / AZ 51 / Loop 202) through Tempe, Mesa, Gilbert and Chandler to I-10. A long-range plan is to extend Loop 202 west to the south of South Mountain via the Gila River Indian Reservation, then north to Interstate 10 near Exit 138 (59th Avenue), but the exact routing is not determined. Loop 202 was signed with a white on brown shield, but the newer shields are black on white. Loop 303 is the Maricopa County-maintained, two-lane Estrella Parkway. Currently it runs from Interstate 10 in Goodyear at Exit 124 north to U.S. 60 (Grand Avenue) in Surprise as a two lane highway, and a full freeway from U.S. 60 northeast to Interstate 17 near Pioneer Road north of Phoenix. This loop shield was originally white on black. Arizona 347 is Maricopa Road, an expressway between Arizona 84 near Stanfield and Interstate 10 near Sun Lakes and the Firebird International Raceway. Arizona 347 was added to the state highway system in 1989 after upgrades were built to the former country road. There was controversy after the expressway opened, as some wanted the road to be the John Wayne Freeway, but residents of the myriad reservations opposed such a name change. 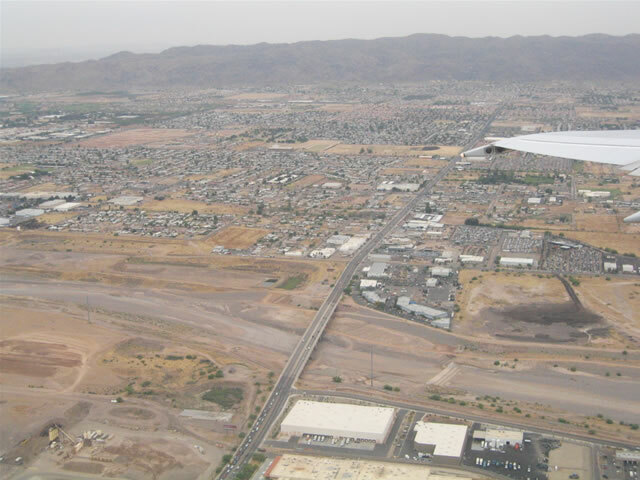 Arizona 347 is one of the best routes to connect from Interstate 8 to the eastern side of the Phoenix valley, including Tempe, Mesa, and Apache Junction. Arizona 801 is the proposed West Valley reliever project, designed to relieve Interstate 10 through the West Valley. The road is proposed to travel approximately three miles south of Interstate 10 between Proposed Loop 202 and State Highway 85, and is funded with money from Proposition 400. “When Phoenix, Tucson merge.” The Arizona Republic, April 9, 2006. Page Updated September 28, 2011.